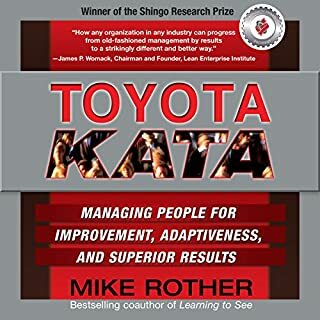 A must-have for service professionals of every level, this essential book takes the proven Lean principles of the best-selling Toyota Way series and applies them directly to the industries where quality of service is crucial for success. Jeff Liker and Karyn Ross reveal how to develop Lean practices throughout your organization using the famous 4P model. Whether you are an executive, manager, consultant, or frontline worker who deals with customers every day, you’ll learn how take advantage of all Lean has to offer. Value Stream Mapping is a practical, how-to guide that helps decision-makers improve value stream efficiency in virtually any setting, including construction, energy, financial service, government, healthcare, R&D, retail, and technology. It gives you the tools to address a wider range of important VSM issues than any other such book, including the psychology of change, leadership, creating teams, building consensus, and charter development. 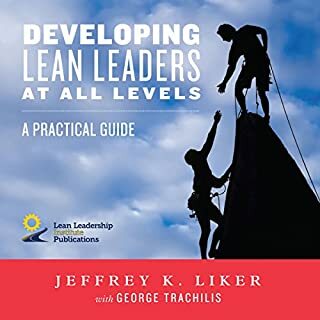 He also shares thoughts on how lean thinking and practice can continue to make the world a better place by gaining traction in areas such as government and health care, provides practical guidance for how leaders everywhere can realize the full benefits of a lean management system, and shares hope for continued improvement on the path to better work and more value. Over the past 30 years, Womack has developed a method of going to visit the gemba at countless companies and keenly observing how people work together to create value. He has shared his thoughts and discoveries from these visits with the lean community through a monthly letter. 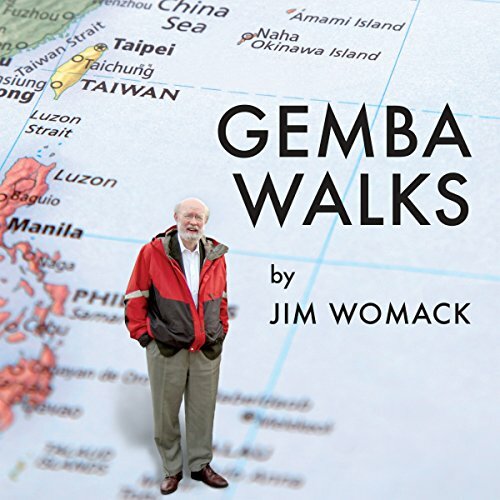 With Gemba Walks, Expanded 2nd Edition, Womack has selected and reorganized his key letters and written 12 new essays. Gemba Walks shares his insights on topics ranging from the application of specific tools to the role of management in sustaining lean as well as the long-term prospects for this fundamental new way of creating value. 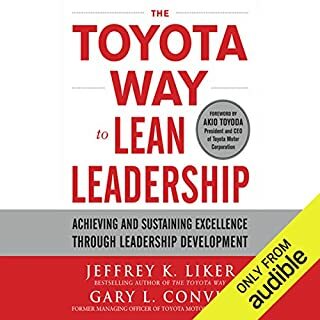 Hearing this book will reveal to listeners a range of lean principles as well as the basis for the critical lean practice of go see, ask why, and show respect. 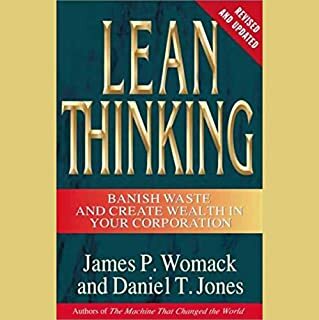 ©2013 Lean Enterprise Institute, Inc. (P)2014 Lean Enterprise Institute, Inc.
Dr.Woomak is not only a grean lean thinker but a great human been. his method to teach is simple and direct' love this man! What was one of the most memorable moments of Gemba Walks, Expanded 2nd Edition? When he explains his mistakes in the bike shop. by one of the greatest contributers and advocates of Lean/TPS development throughout the world. Very inspiring! This book was a pleasure to listen to on audible. The organization of this book was excellent and the length of the chapters made it very enjoyable. 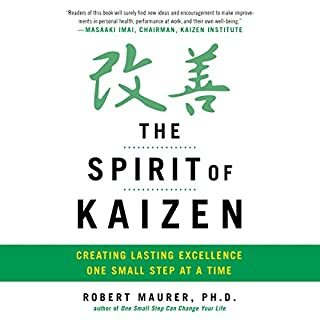 There is so much knowledge about lean theory and practicality in this book. I highly recommend it. As a Lean Practitioner, the insights from the book help bring Jim's extensive experience to the less practiced. Key points I haven't yet had to consider bring up real world challenges; like getting a bank loan with a company that is so lean, it doesn't have a whole lot of physical assets! Though it's a collection of essays and thus, a little scattered, it's a must read for anyone serious about lean. A LEAN Engineers must read - succinct and relevant in today's volital volital political envirenment. 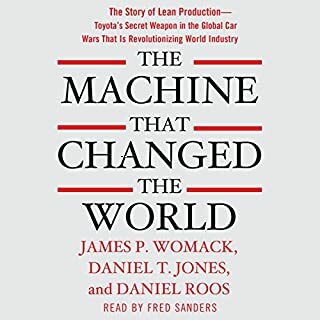 A great book on history of Lean movement. Both a selling and a history of Lean movement. I was looking for more of a how to, but I ended up more sold on this management method. first book I have read about this subject, there to many new terms to get used to, but great work on the essays that tell a very compelling story of the need to think about providing value for the customer, highly recommended. What disappointed you about Gemba Walks, Expanded 2nd Edition? I believe Mr. Womack had a wonderful career as a consultant. In this book, he presents articles that he has written through his career for magazines and other publications. He offers many suggestions on what could have worked better on the job sites that he has visited, but there is no follow through to show what would happen if his ideas were ever implemented. In that way, the volume of text becomes meaningless. It is nearly all hypothetical conjecture sprinkled with occasional memories and lacking detail. What was most disappointing about Jim Womack’s story? The narrator of this book has a certain tone and rhythm about his words. He seems tired and bored. In a way, it is similar to listening to Eore from Winnie-the-Poo; he is depressing. I am disappointed in the time that I invested in this book. Buy something else that has more substance and follow-through. A truly wonderful journey through the world..
...and work of Womack and the efforts to build a better world to work and live in!